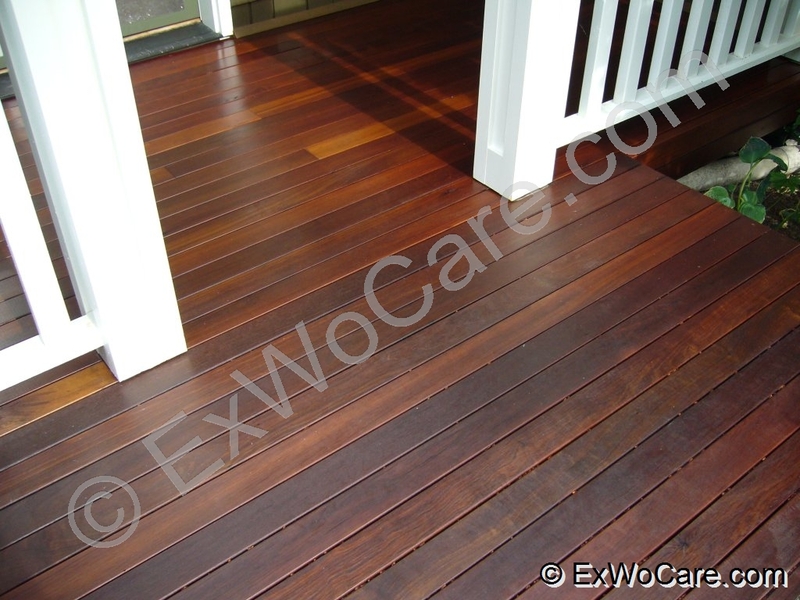 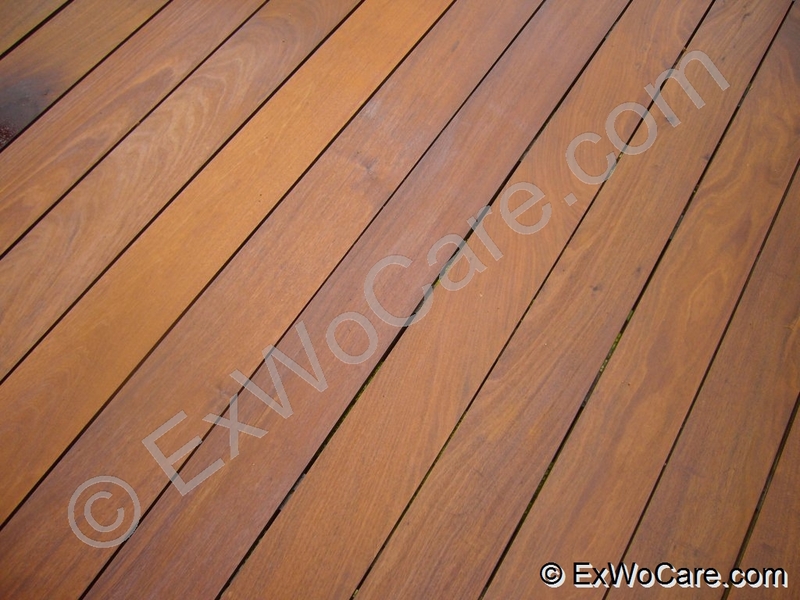 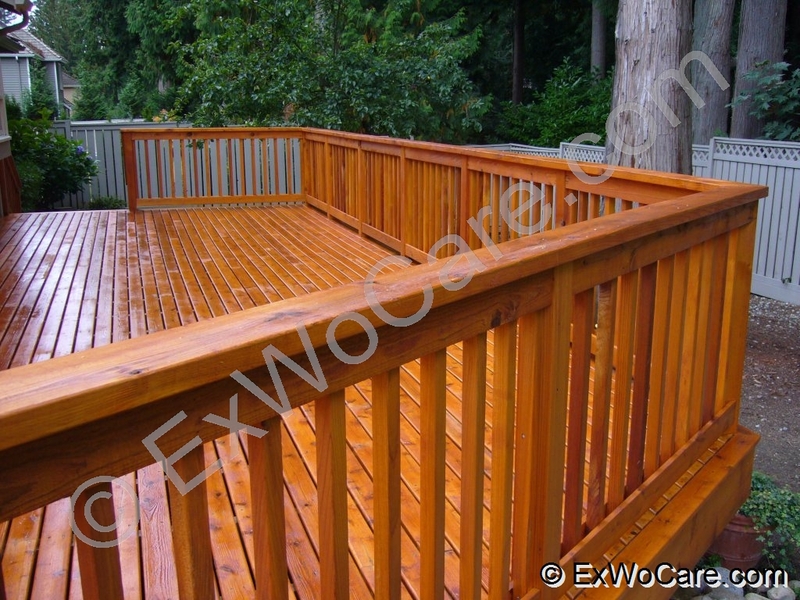 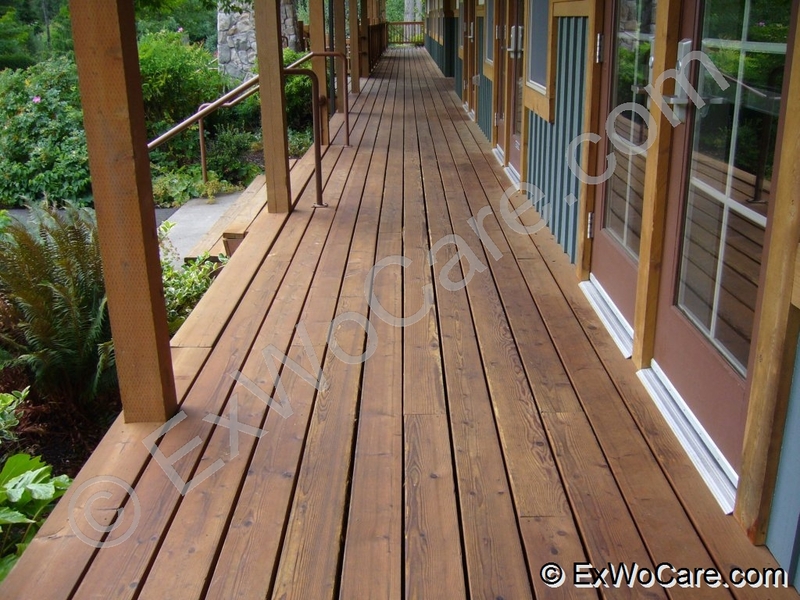 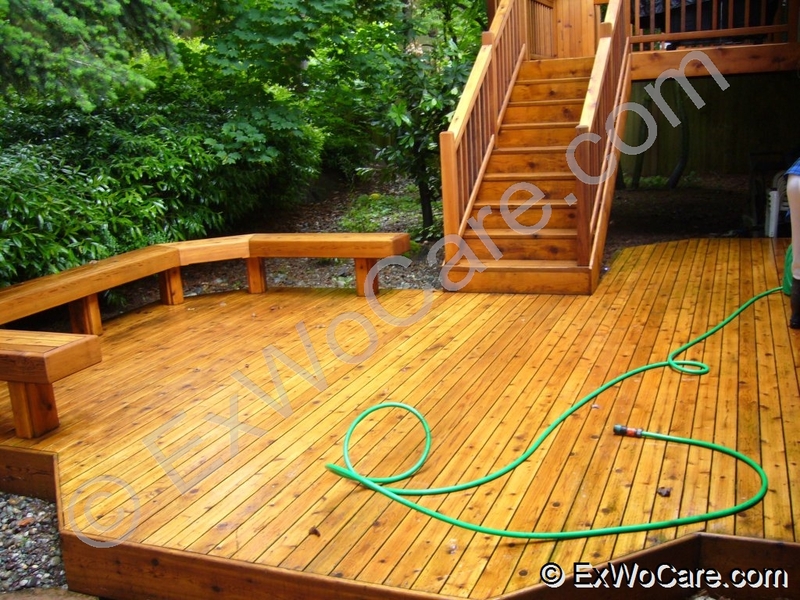 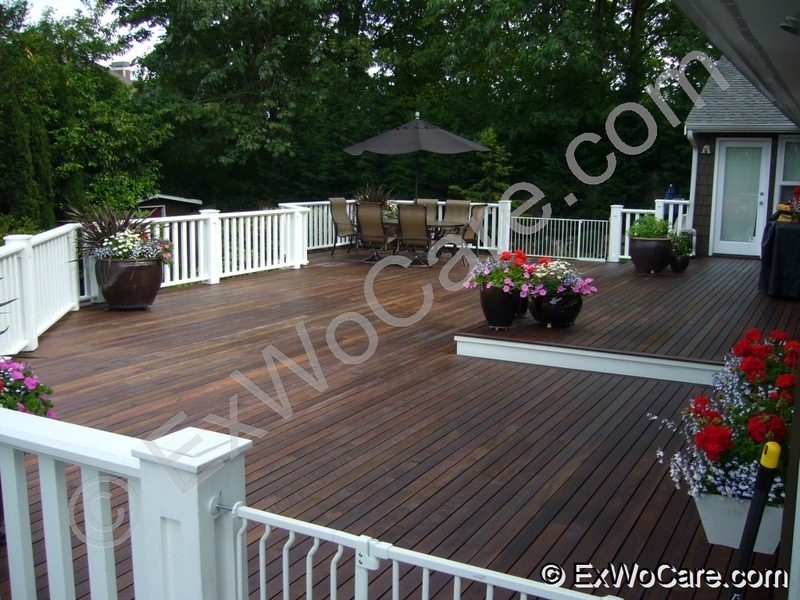 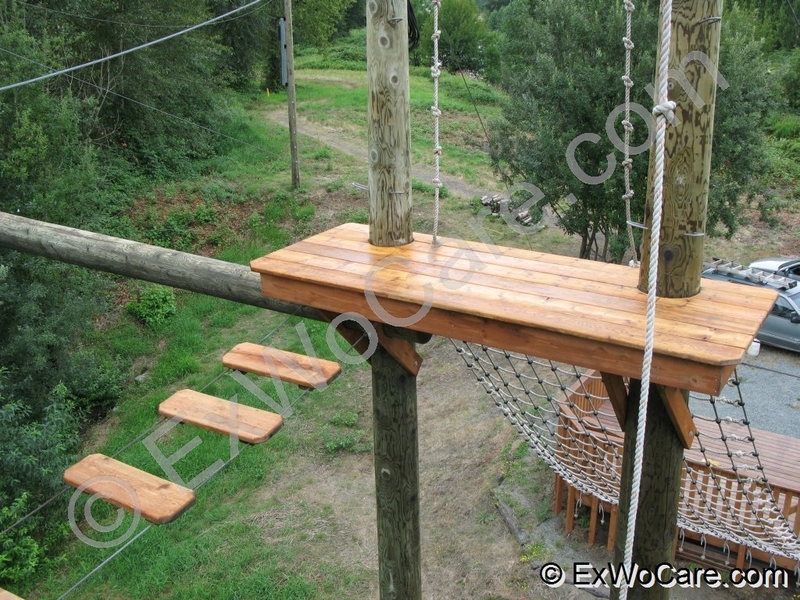 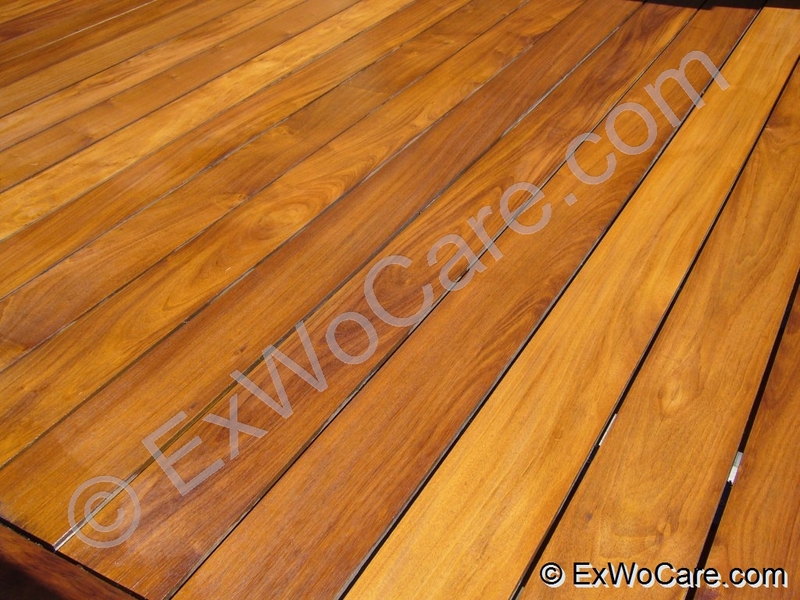 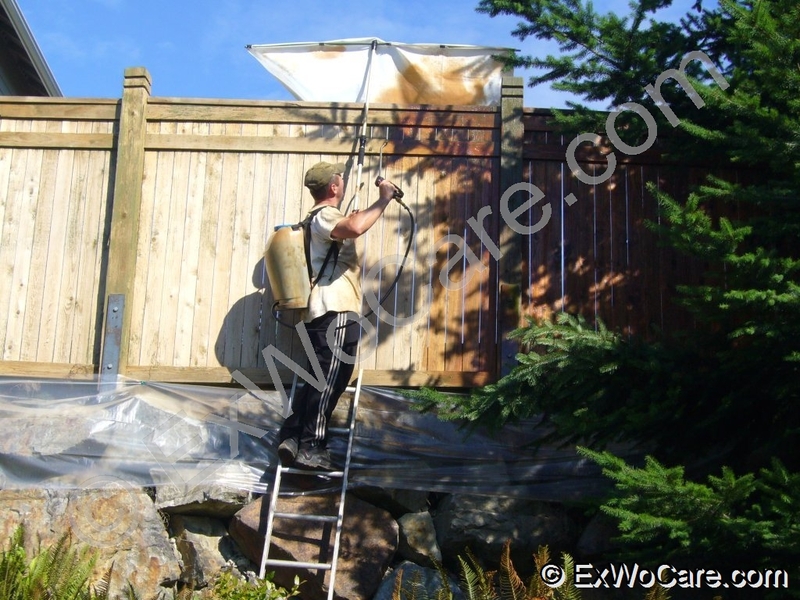 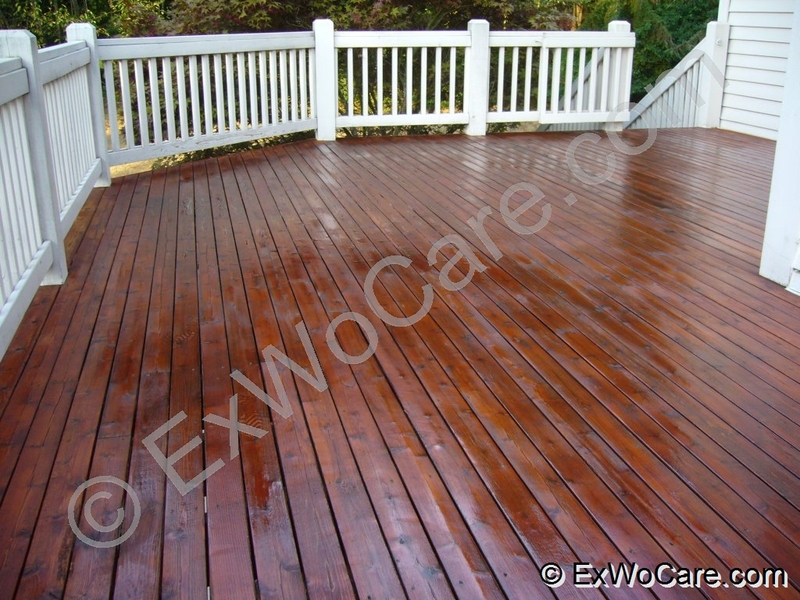 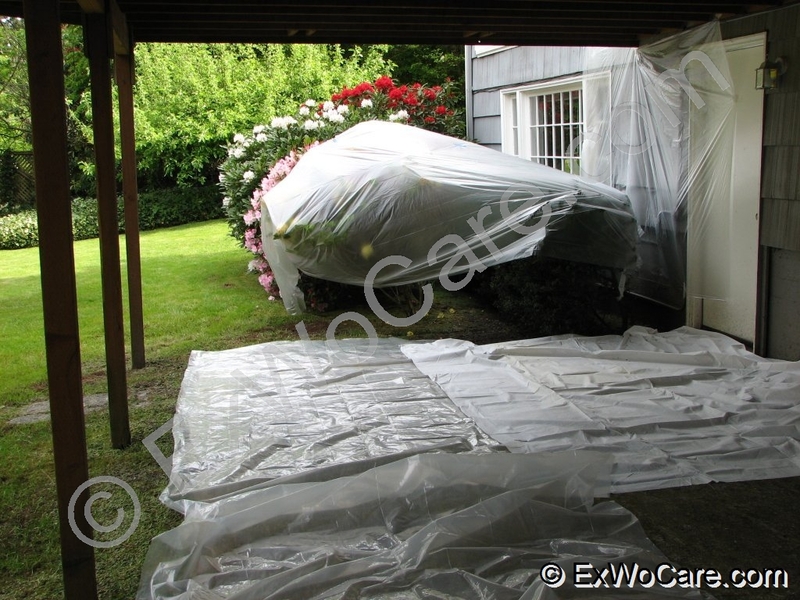 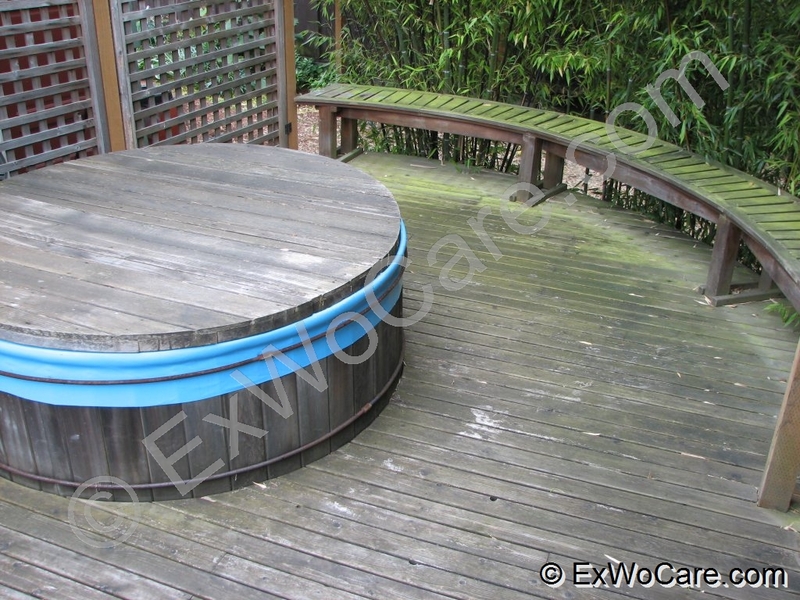 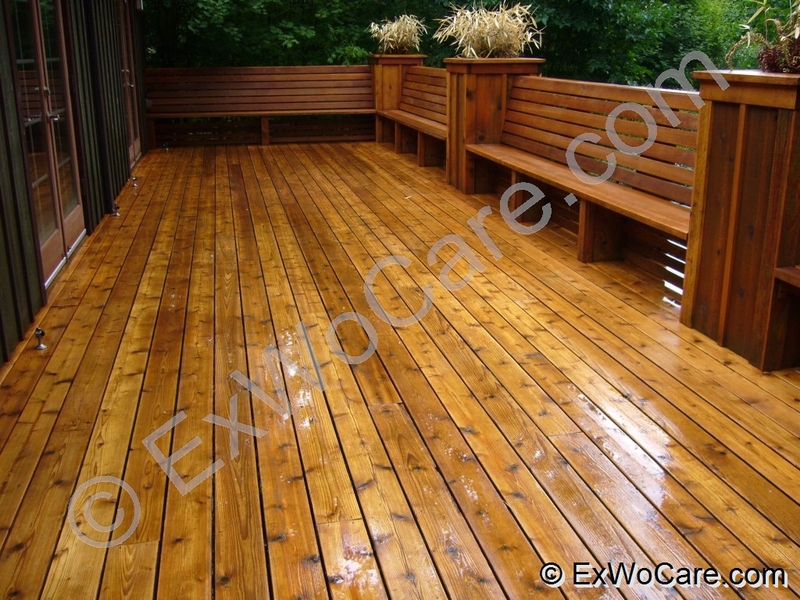 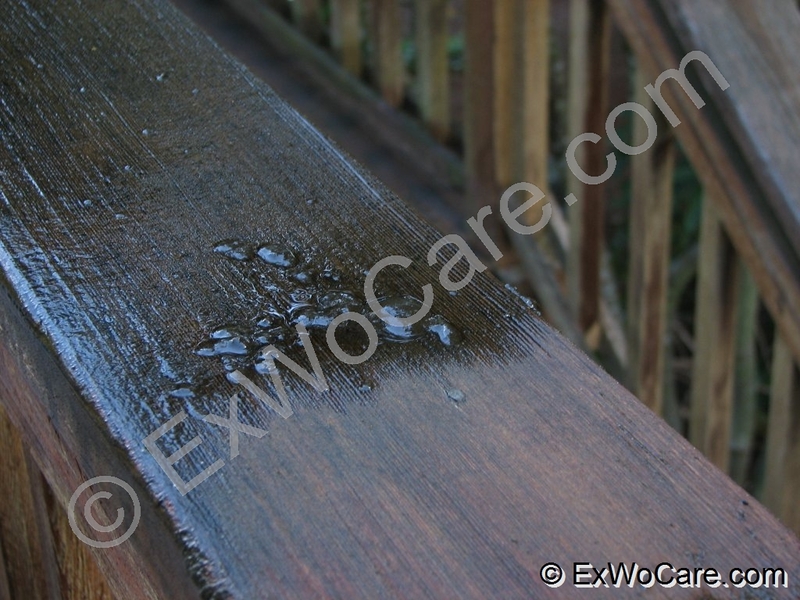 At ExWoCare, we like to let our work speak for itself. 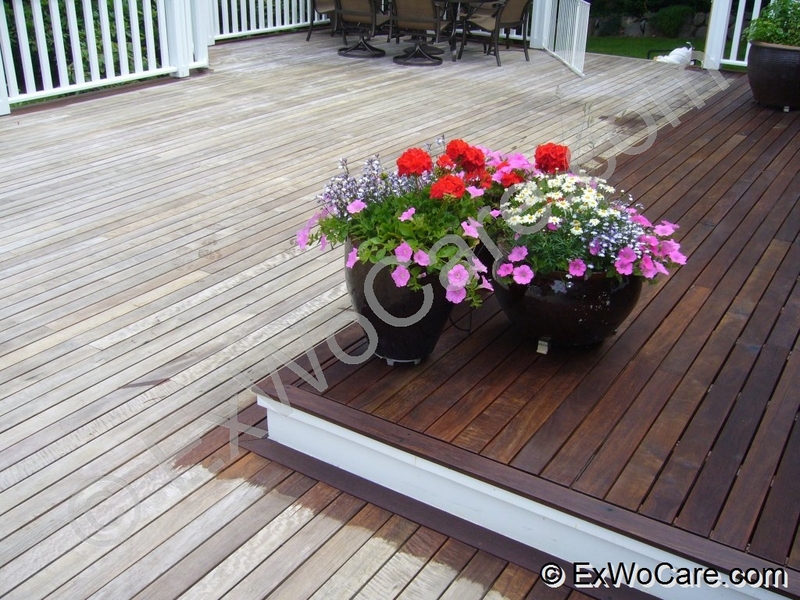 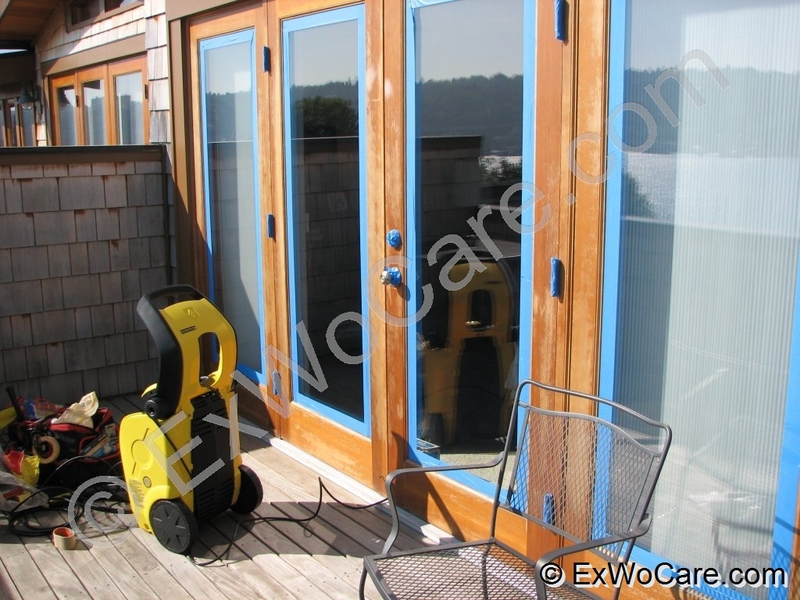 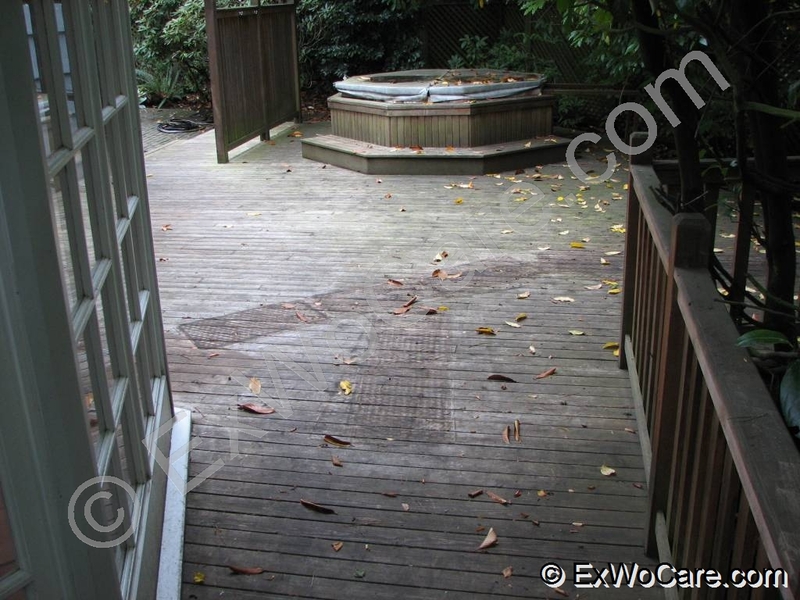 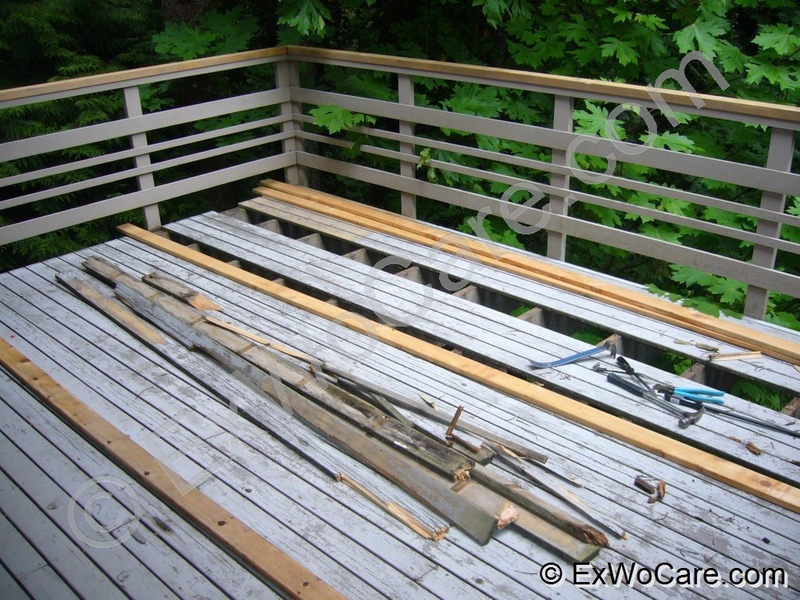 For that reason, we’ve assembled a collection of photographs that show just how well exterior wood restoration can work. 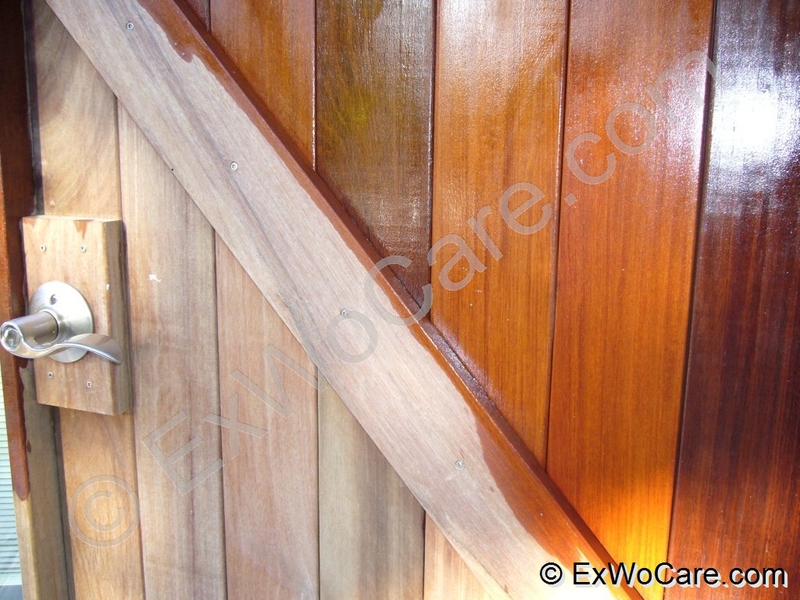 Notice how the refinished wood has a life and vibrancy that did not exist before. 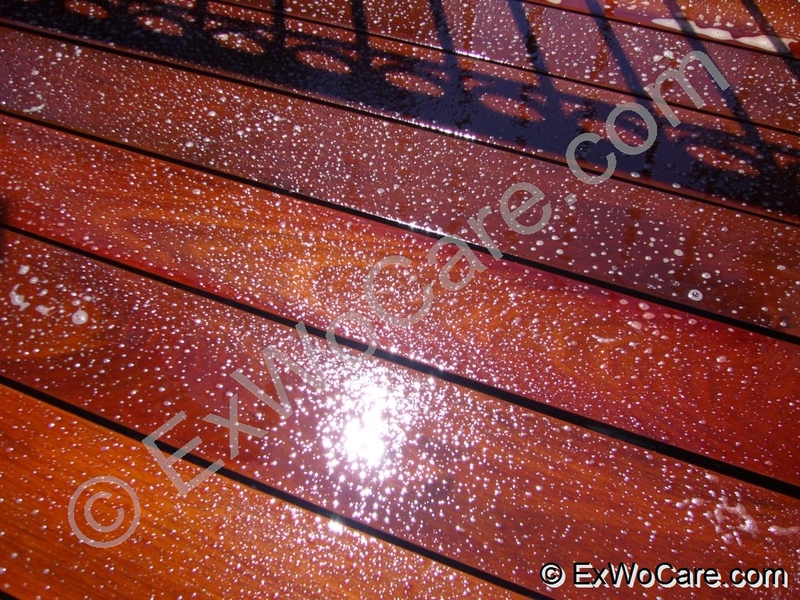 This is how wood should look and we will be certain to bring this life to your decks, siding, marinas, and so on. 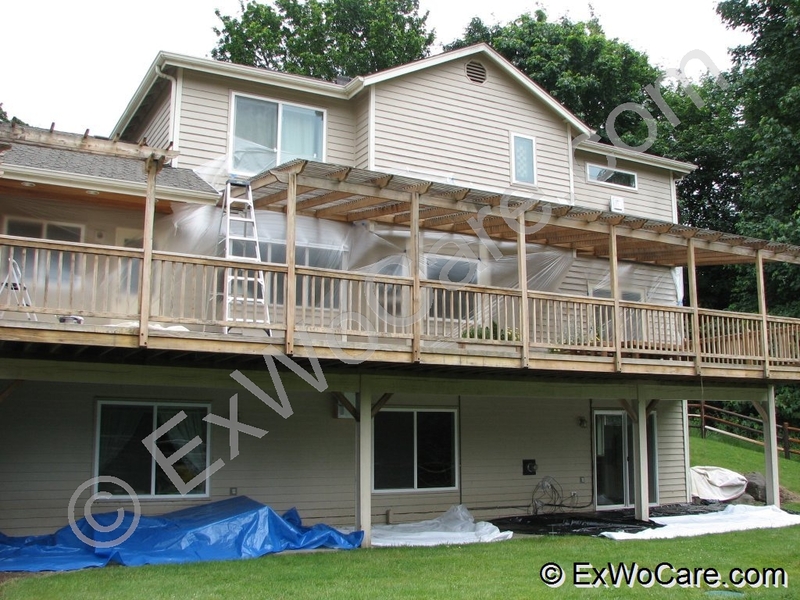 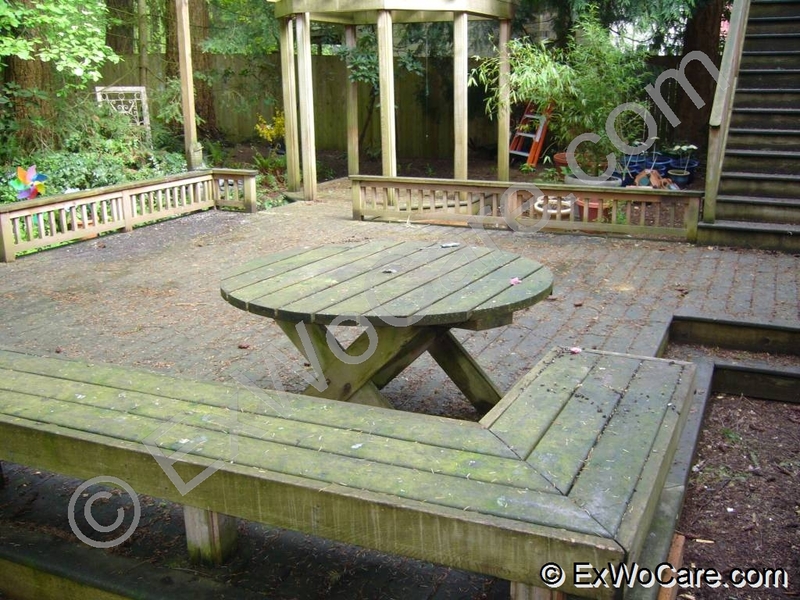 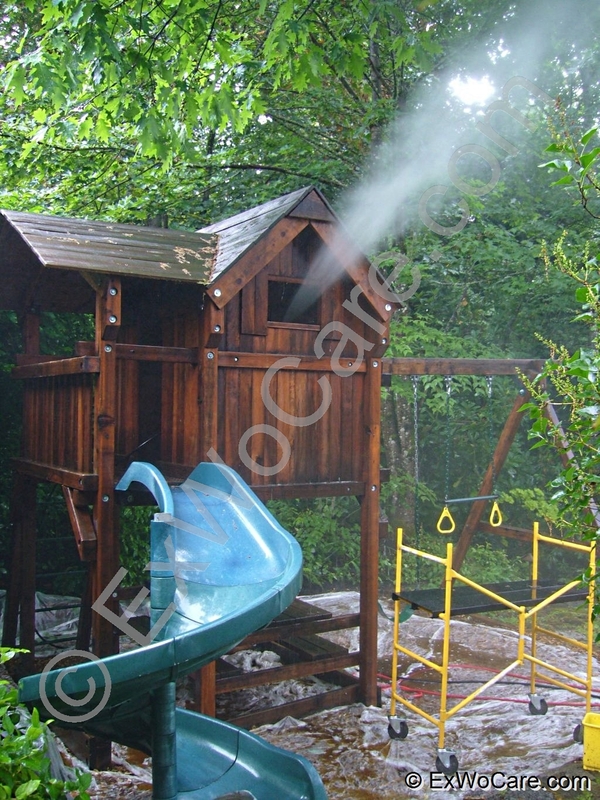 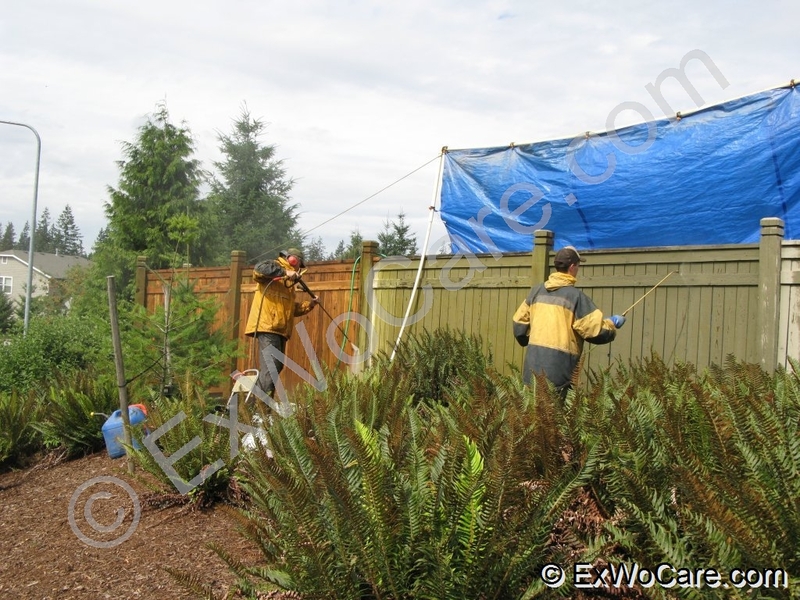 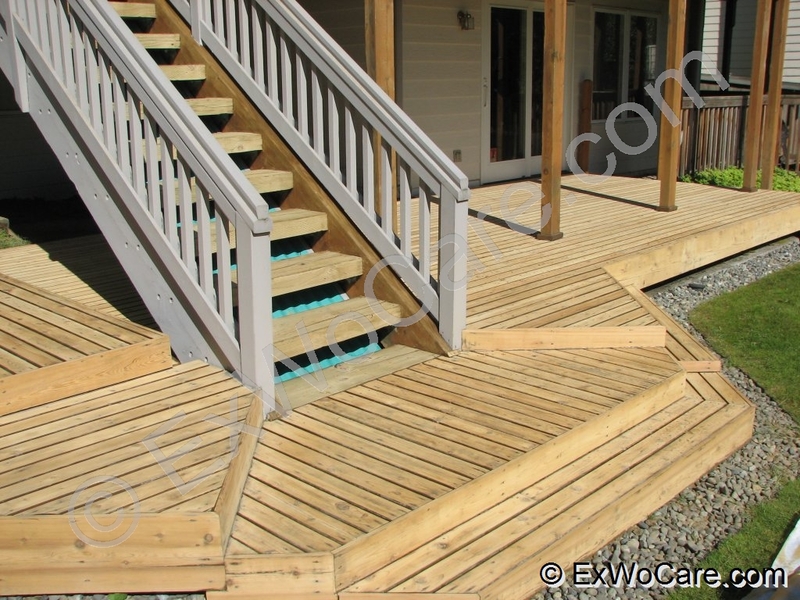 As you see, there are big and small projects, we do it all: cedar, redwood, exotic hardwood, pressure treated, composite, We restore decks, cedar siding, fences, gazebos, trellises and pergolas, child play structures, docks and marinas. 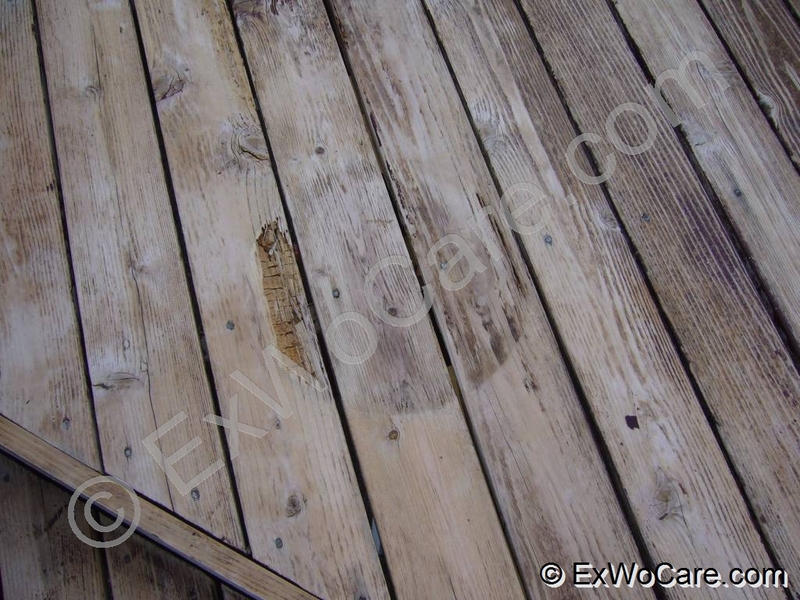 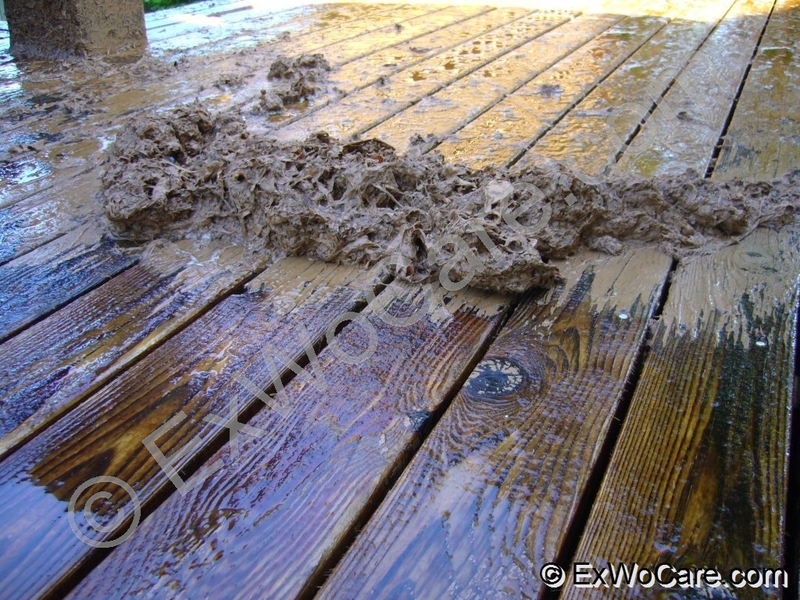 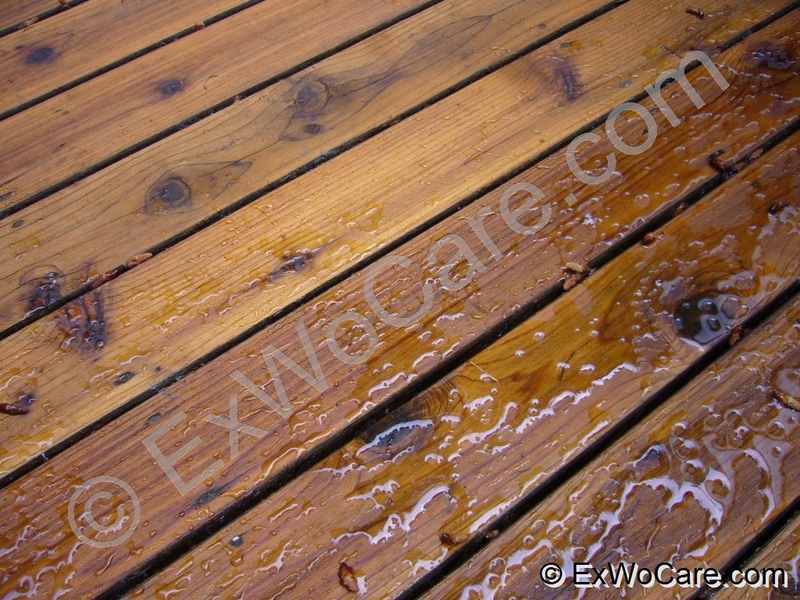 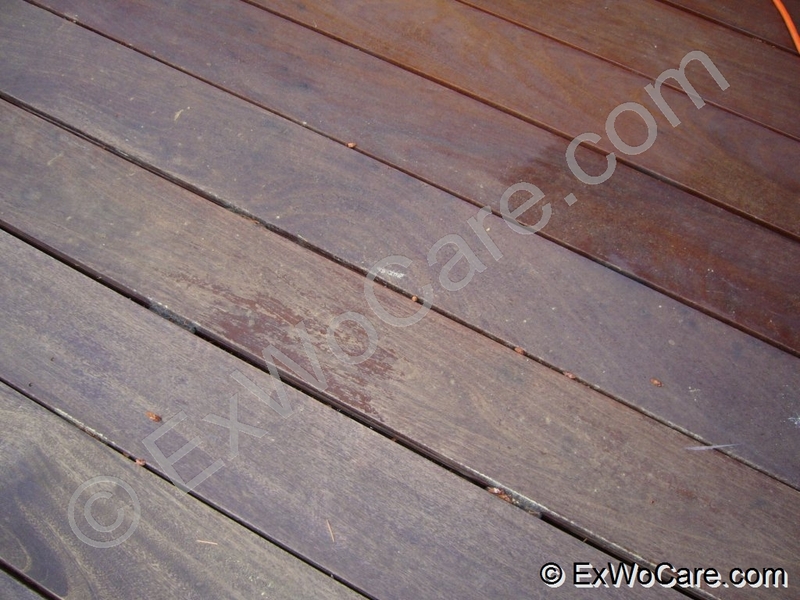 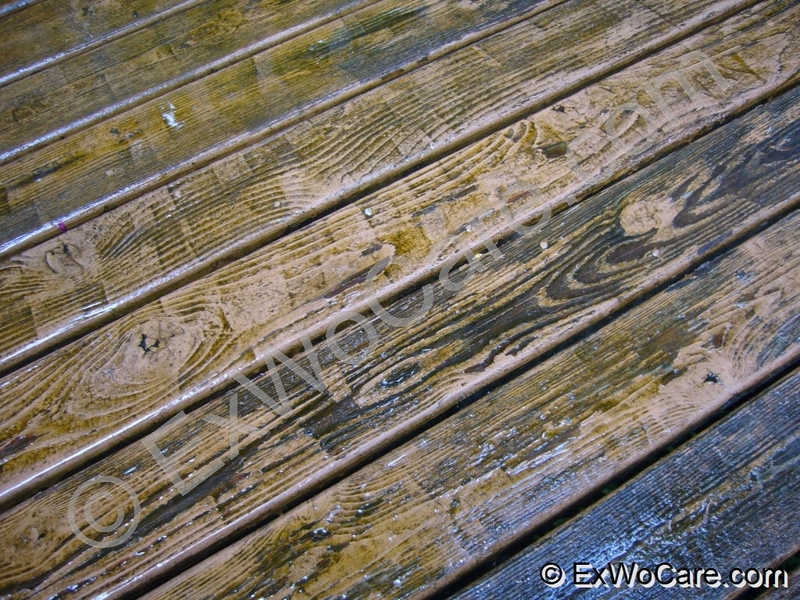 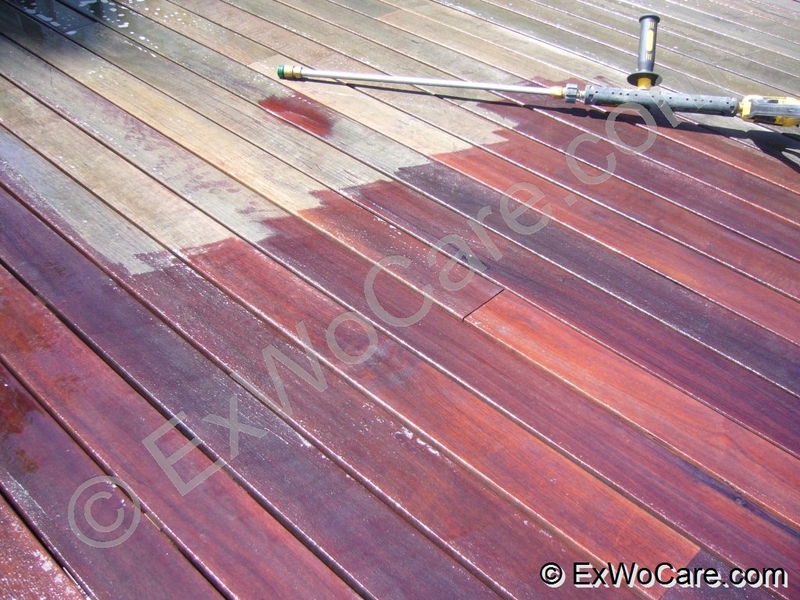 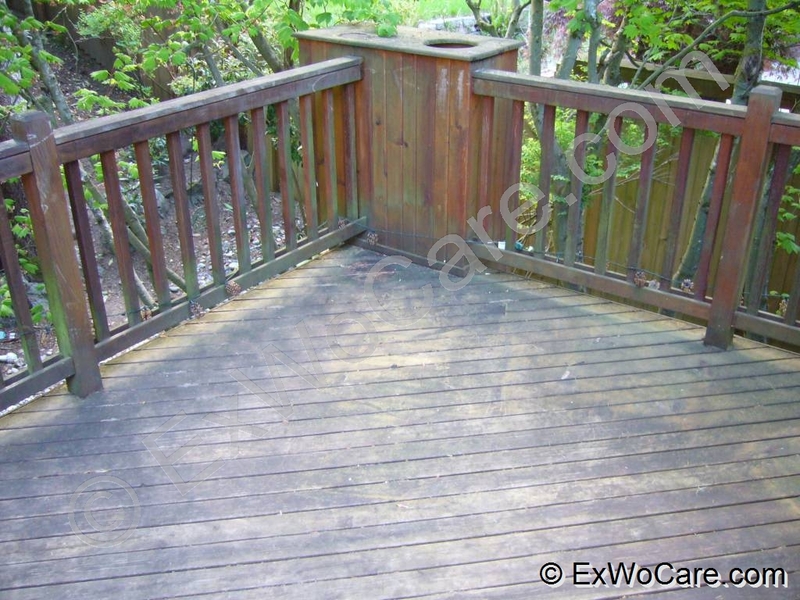 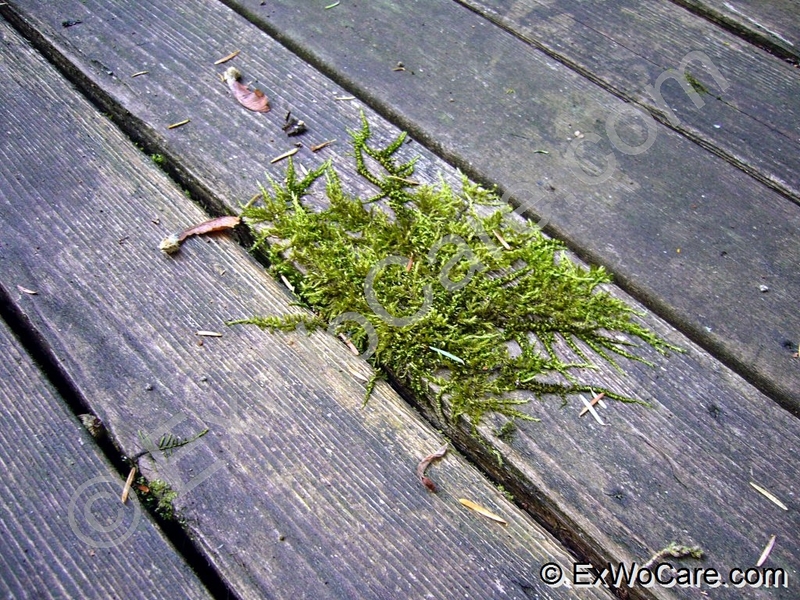 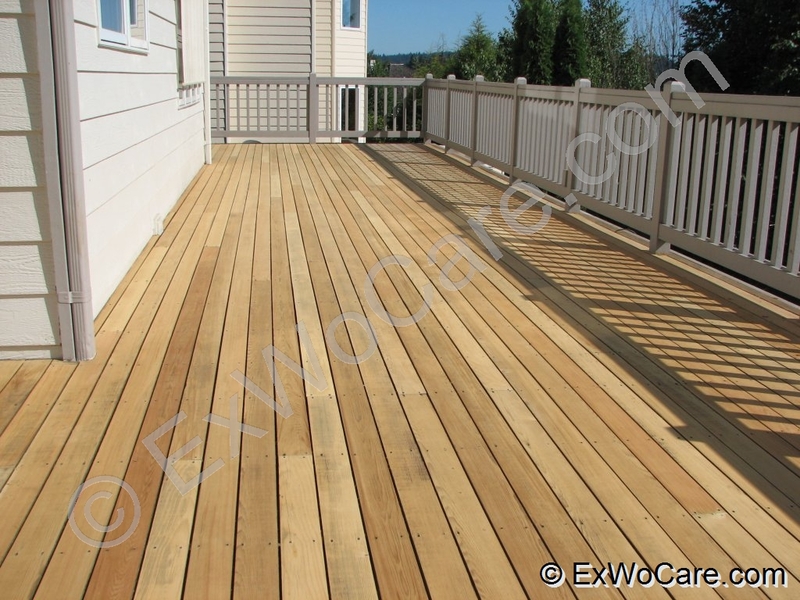 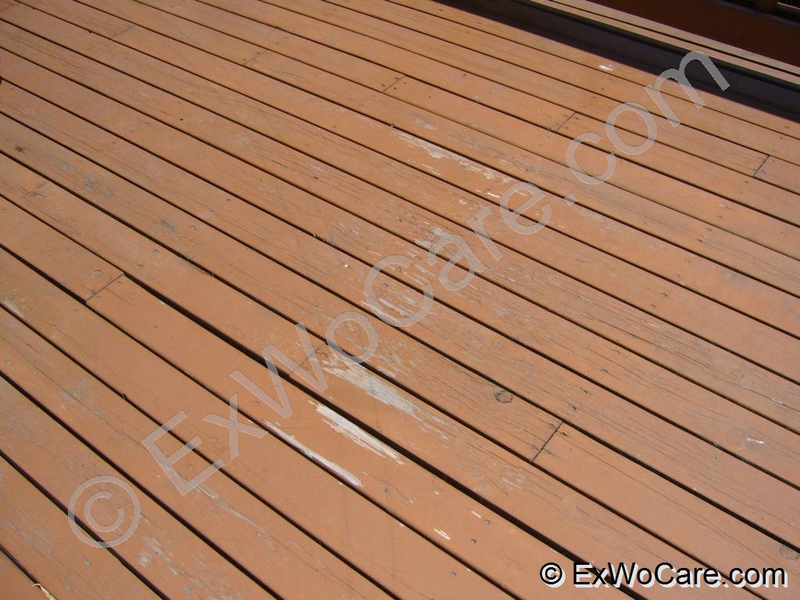 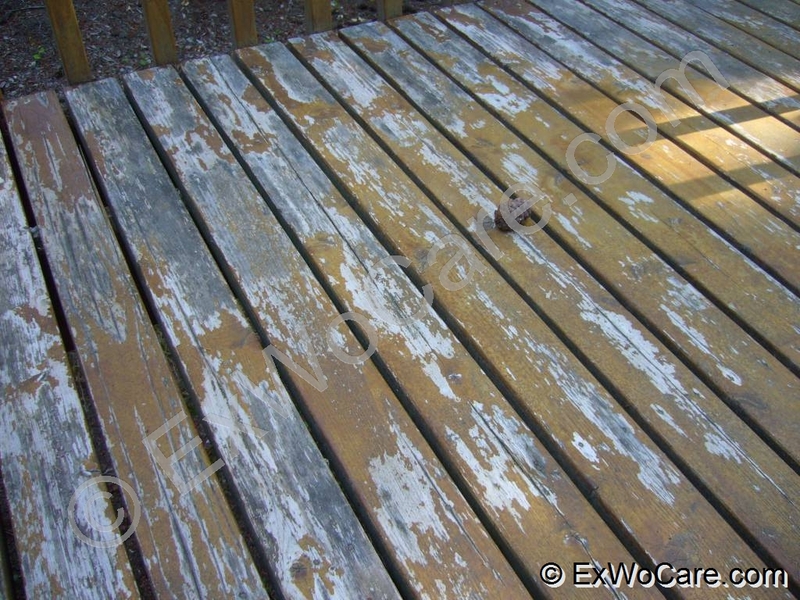 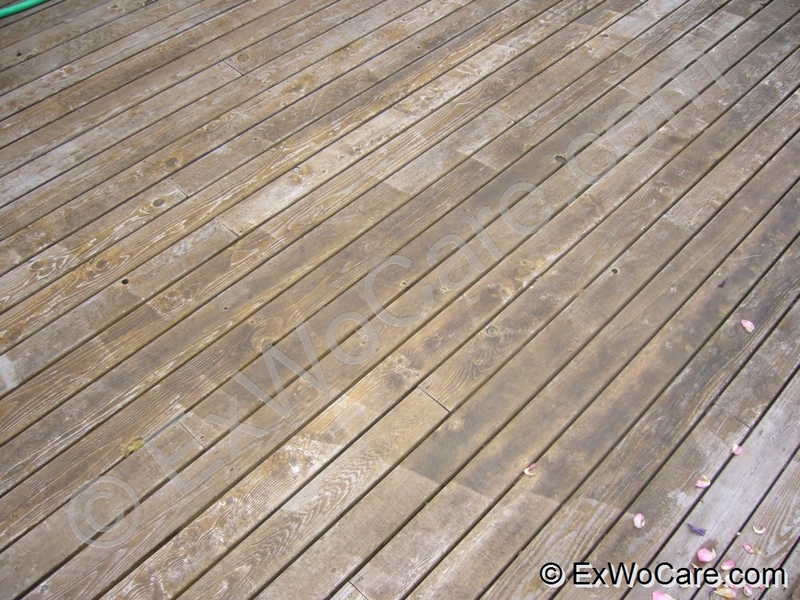 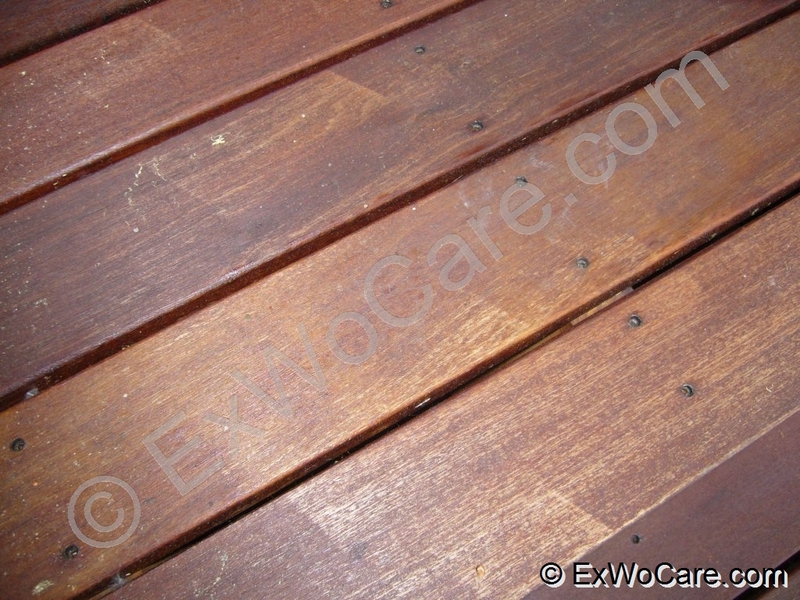 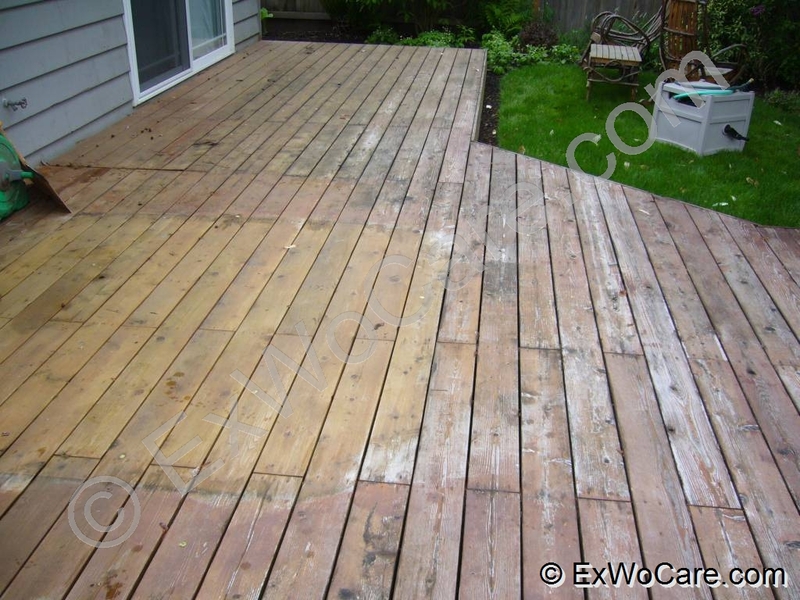 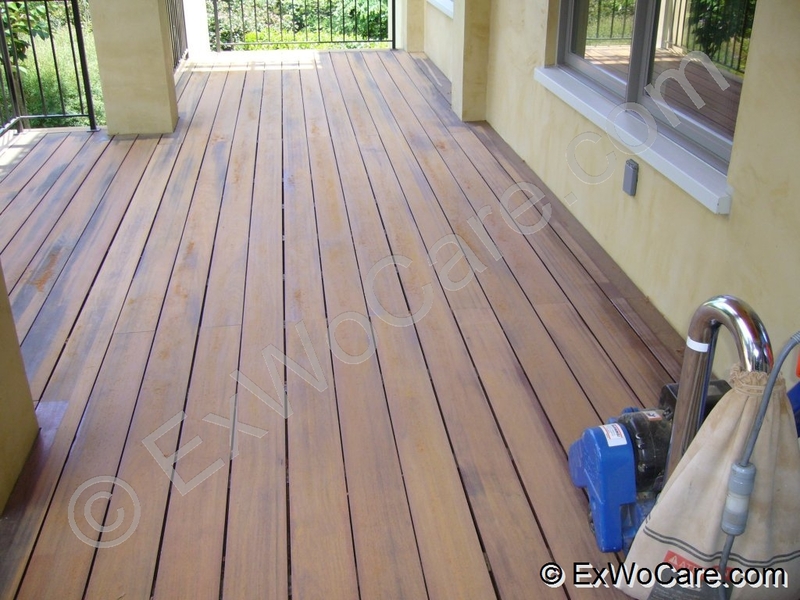 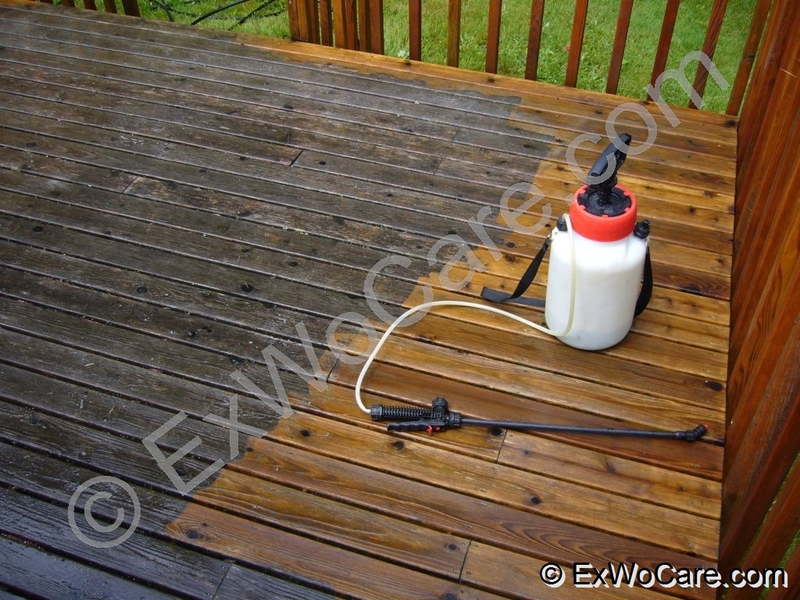 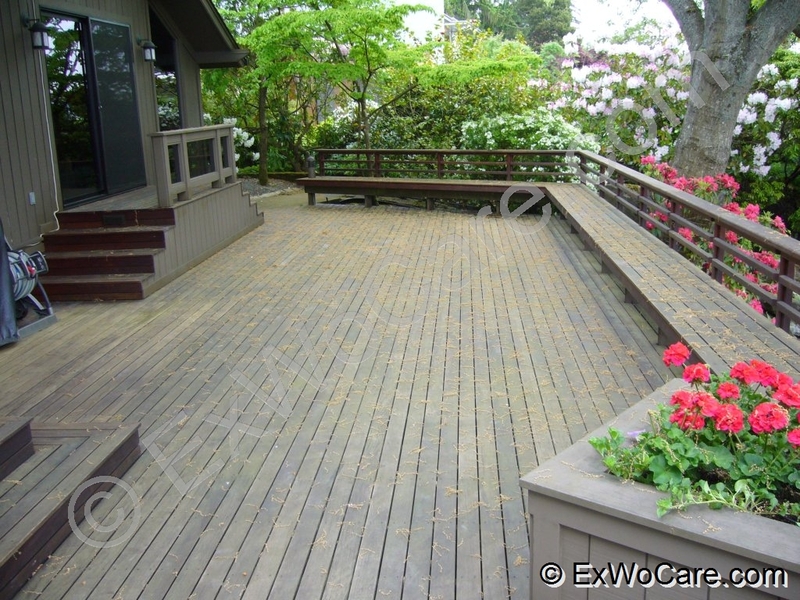 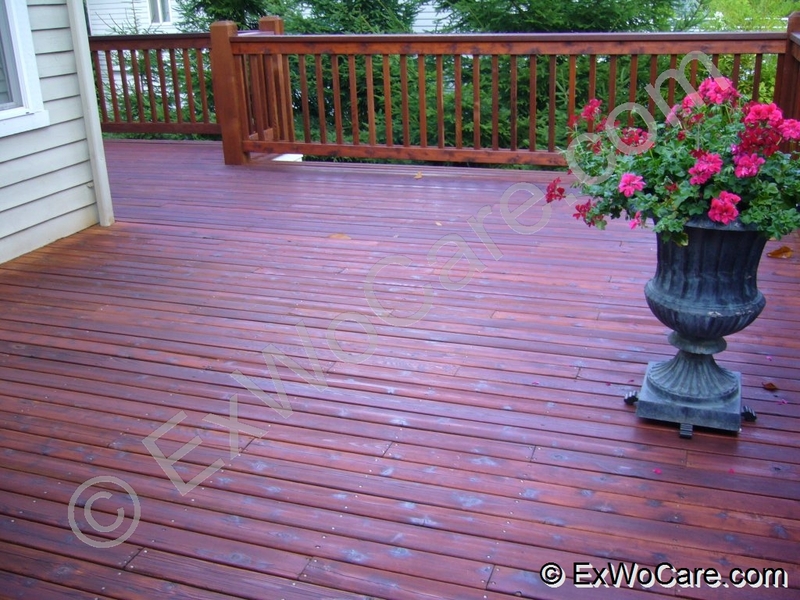 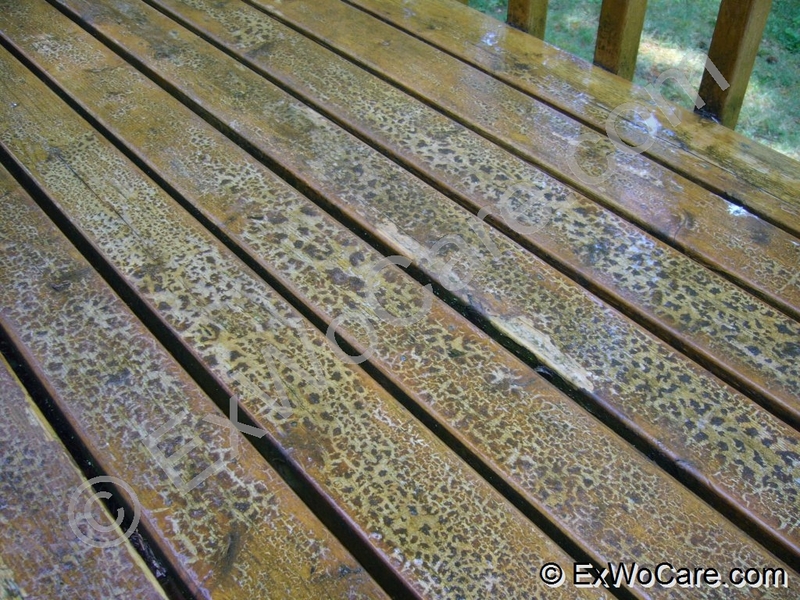 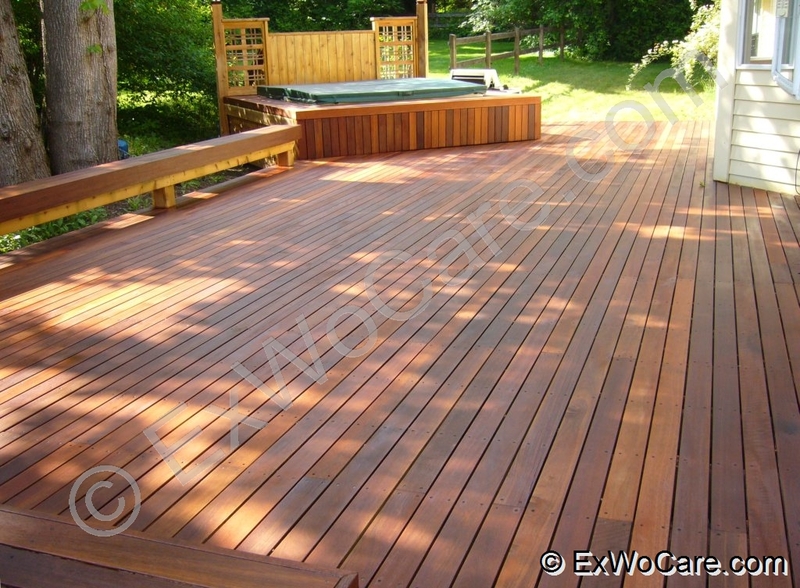 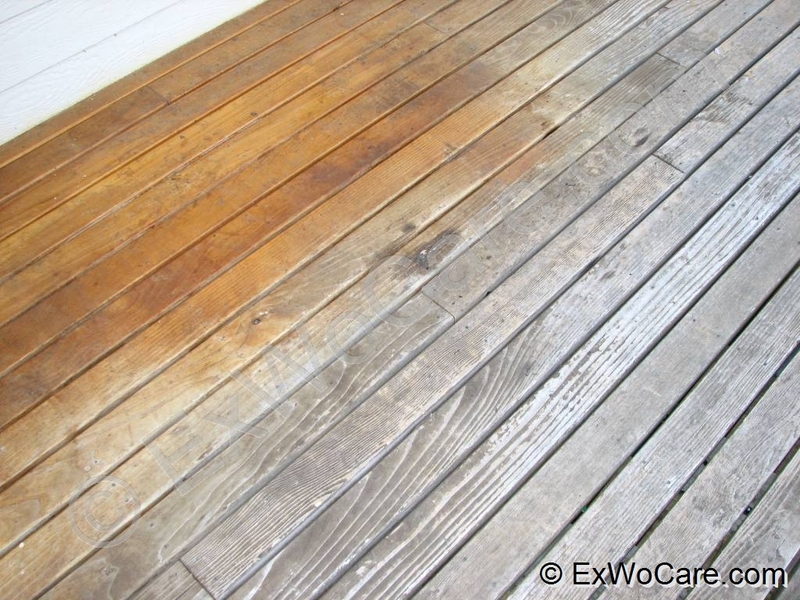 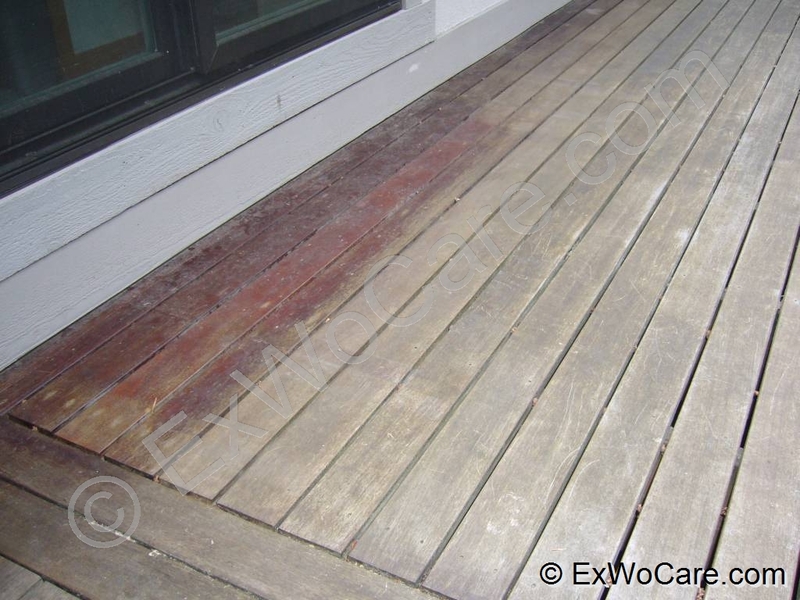 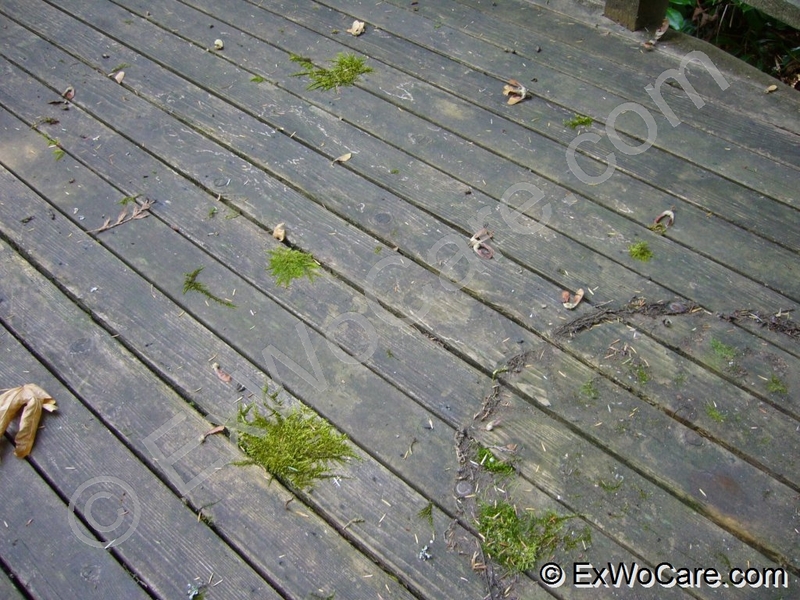 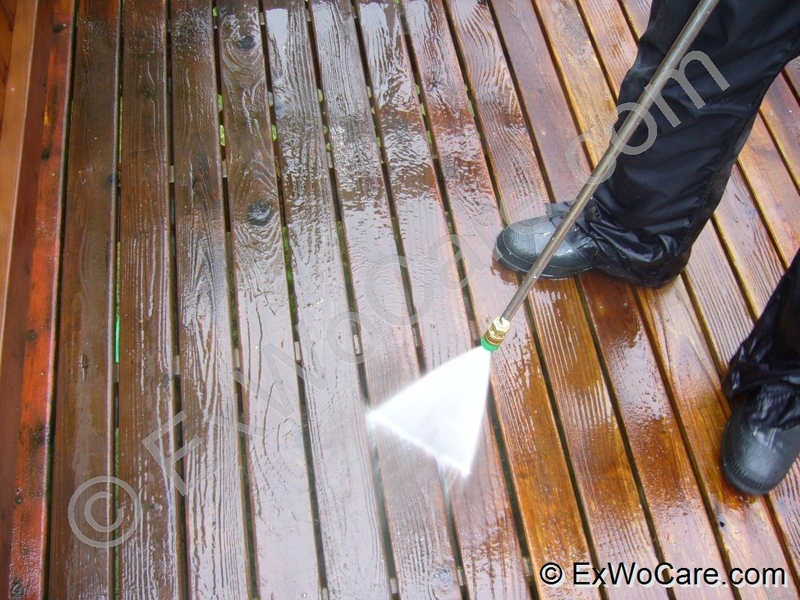 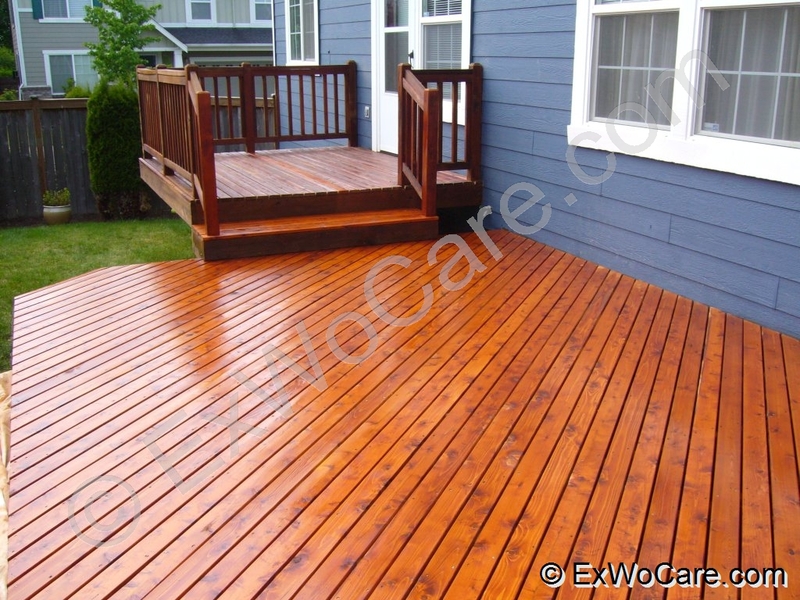 If you look at your deck and don’t like what you see, it might be the right time to refinish the surface. 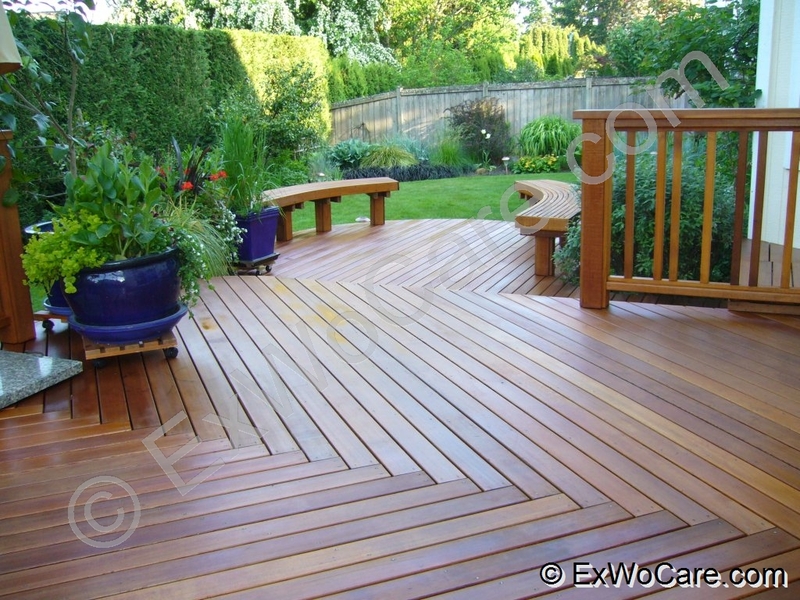 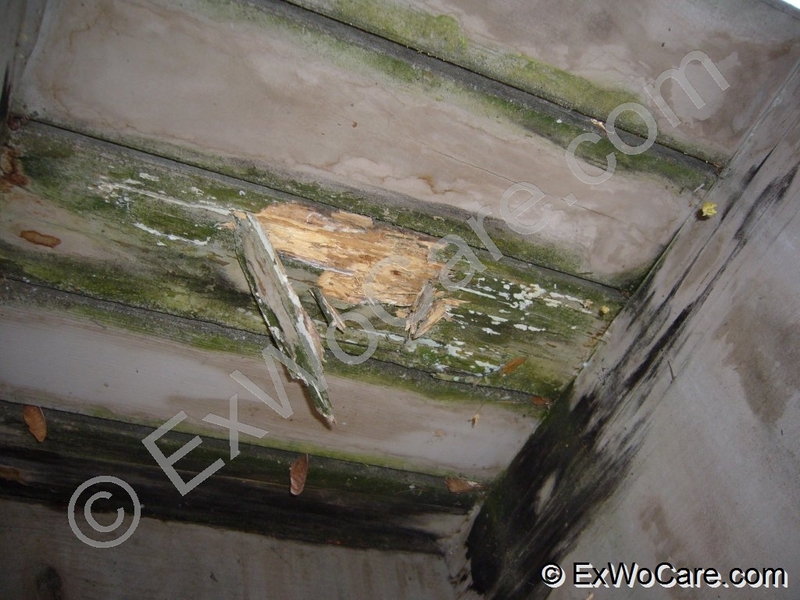 Longer you wait – more problems your wood will get. 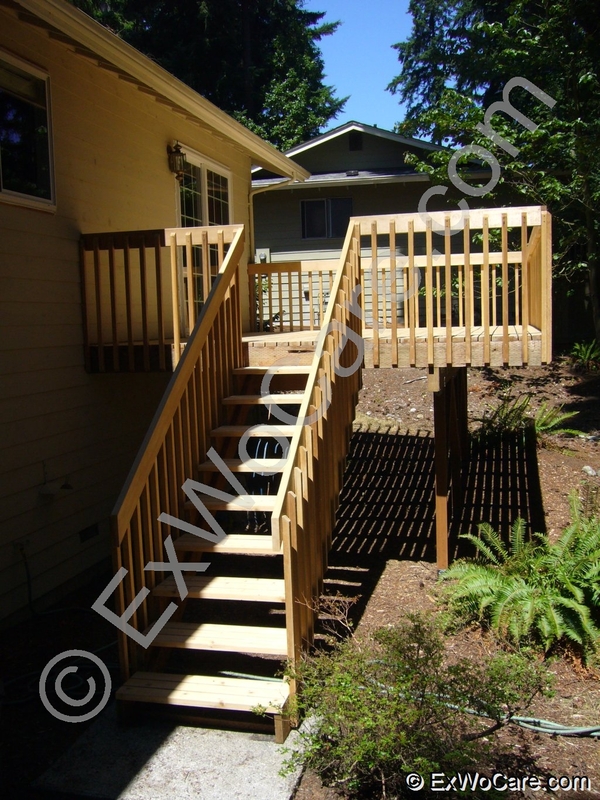 Here are a few pictures captured in the middle of the work process. 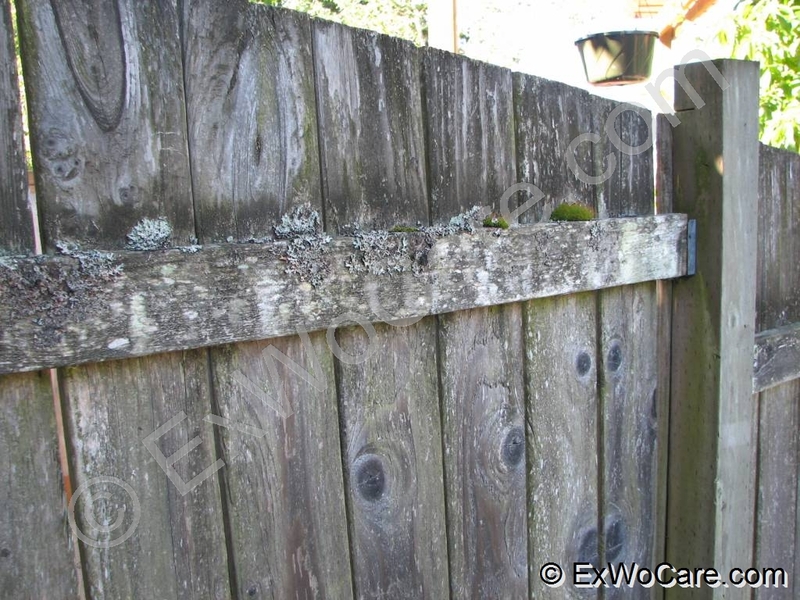 It’s always nice when someone has time and a free hand to hold the camera. 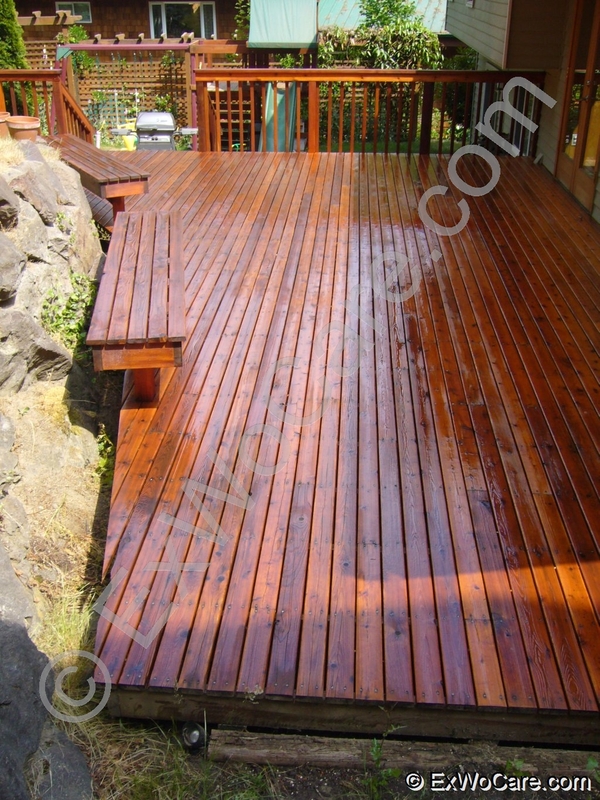 Here are a few examples of results of our work. 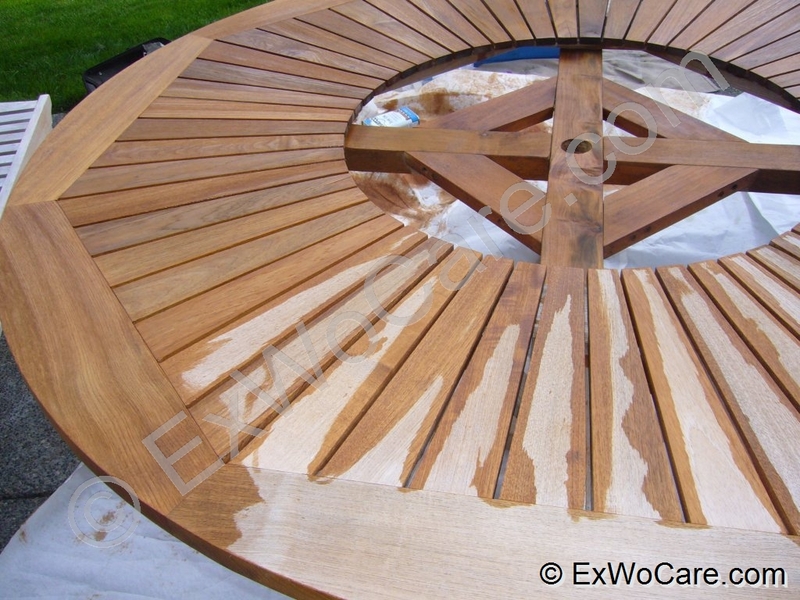 Different projects, types and condition of the wood, but always spectacular results.